The leading model of the Signature range, Delta was the company’s starting point in terms of research. This 3 bass reflex speaker is a well-designed technological jewel. It is a symbol of TRIANGLE’s acoustic expertise. For many years now, TRIANGLE has been investing in the latest technology to constantly innovate and improve its acoustic expertise. A Klippel system is used to conceive and simulate loudspeakers. Modern prototyping tools such as 3D printers, the latest CAD software, as well as MLSSA and CLIO measuring systems, enable the company to put theory into practice. 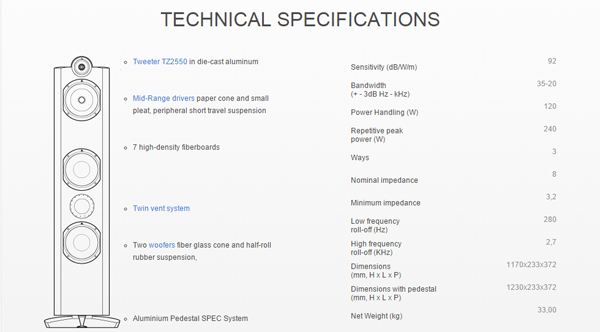 Many different types of tests help to define the best-adapted shapes and most suitable material to use. A new phase plug has been designed to go with the 2mm titanium dome. The tweeter horn is 100% injected aluminum developed originally for the Magellan project. At present, Tweeter’s larger surface offers a greater dispersion of high frequencies. The volume of compression of the tweeter’s back chamber has also been increased to offer better shock absorbance, thereby preventing the return of sound waves on the dome. These enhancements have improved upon the quality of high frequencies in terms of detail, finesse and transparency, as well as minimal sound distortion. The 185cm aluminum basket has been entirely redesigned to provide better ventilation to its double-layered coil. It is equipped with a small pleat, peripheral short travel suspension. 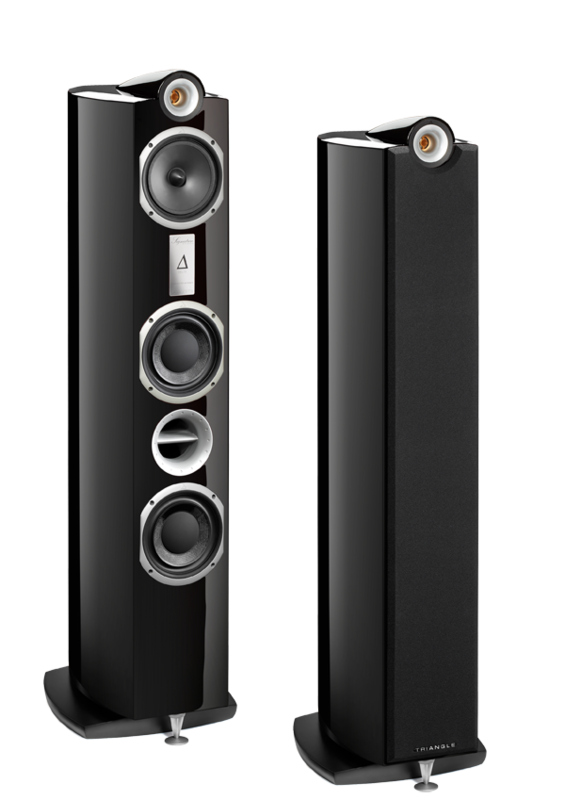 The new version of its cone in treated paper offers increased clarity at this very important frequency section of sound reproduction. The phase plug has been replaced by a dust cap of identical shape and size to prevent air from escaping, as it would normally do so in an enclosed volume. Each model is equipped with a terminal for bi-wiring or bi-amplification. The terminals are designed and assembled by TRIANGLE. Built with High quality copper alloy they provide an excellent conductivity. They accommodate a 5 mm diameter cable and receive banana plugs with locking system for excellent security. The unique element to the Twin Vent is that it discharges the rear wave created by the bass drivers through a single vent. This system means that each of the drivers can operate in complete isolation. Increasing the volume of the sound does not disrupt the tonal balance, the only remaining distortion limit is the driver mechanics. The results in terms of power handling are amazing. The listening experience offers dynamic, solid, well sustained bass.